Houseboat day cruise in Kumarakom is a best feeling that you will get on your Kumarakom boat ride. Kumarakom is a lake town, enclosed by water bodies and is well known for backwater tourism. 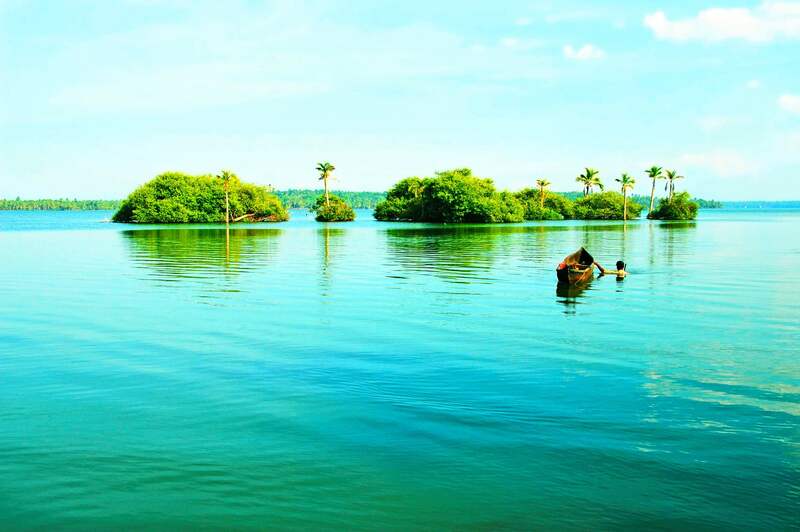 “Vembanattu kayal”, the biggest lake in Kerala involves a noteworthy segment of this region. Day trip houseboat Kumarakom is one of the main entertainment of tourists. 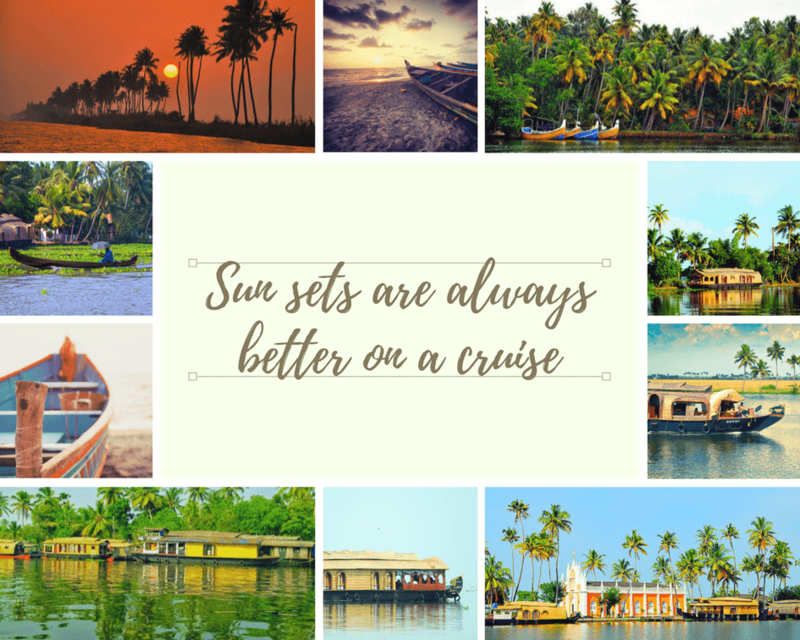 Kumarakom sunset cruise is the best one you must not to miss. On your Kumarakom houseboat day cruise you can see there are numerous little waterways discovering its way through this village to the lake. Kottayam is the closest town. The significant attractions here incorporate Pathiramanal island, Kumarakom bird sanctuary and boathouse cruises through the backwaters. Many of the tourists need Kumarakom houseboat day tour. 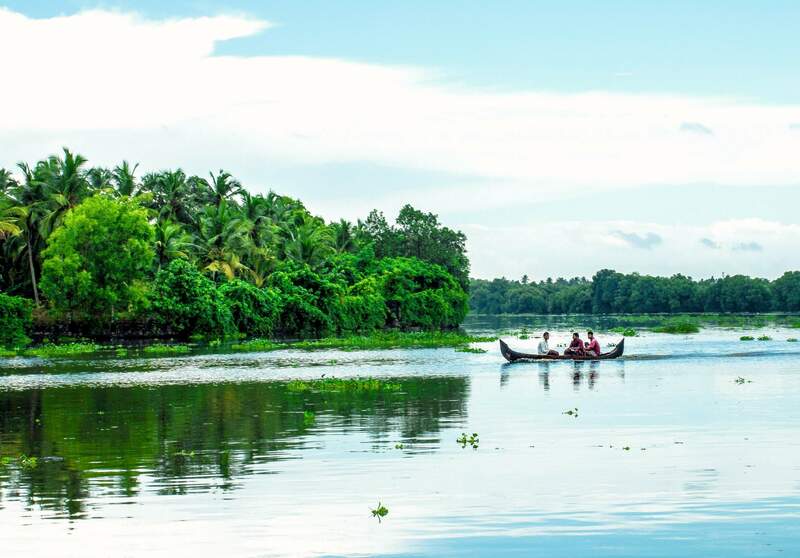 They only wish to explore Kumarakom day trip. Kumarakom houseboat tour packages cost comparatively less when hiring a boat for half day and more when taken for one night stay. Kumarakom backwater day cruise is for those who doesn’t have much time to explore in Kumarakom, mainly for a night stay. So Kumarakom day tour package is available with much affordable rates. In this Kumarakom day boat trip you can see greenish paddy fields, coconut trees, different birds, beautiful island and the sunset. Kumarakom boating time is from 11am to 5 pm and for night stay 12 pm to next day 9 am. Kumarakom day tour with my family. I personally prefer day trips in the houseboats especially when kids are with us. We started from Kochi at around 7:30 in the morning and drove to Kumarakom via Cherthala. On the way, we stopped the car at Thanneermukkam dam, which is made to prevent the salt water from entering into areas of Kuttanadu. We continued our journey after spending a few minutes watching the dam and taking few photos. A few kilometers after passing the Thanneermukkam Dam, we could feel the cool breeze from the backwaters. The lush greenery and calm backwaters of Kumarakom were awaiting us. The first item of our Kumarakom itinerary was a Kumarakom houseboat day trip. Most people prefer overnight stay in the houseboats but we chose to stay in a resort and spend only a few hours in the boathouse. Most of the houseboat operators in Kumarakom offer day cruise in Kumarakom as well as night trips. The day cruises usually start at 11:00am and offer Kerala style lunch in the houseboat. 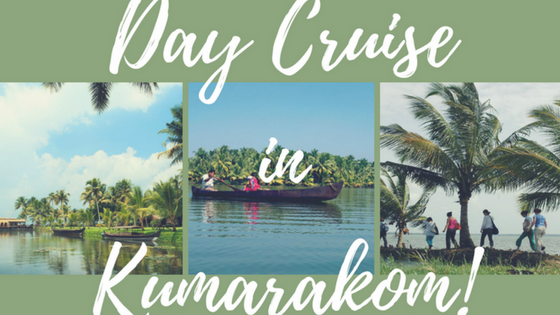 Kumarakom day cruise finish by about 5 pm with a coffee and snacks. We have gone for houseboats in Alappuzha. It was our first time experience in Kumarakom. Even though both Alappuzha and Kumarakom offer the cruises into the Vembanad lake, both have its own advantages and disadvantages. Alappuzha is a commercial area but Kumarakom is very calm and quite. There are more than 1,000 houseboats in Alappuzha and you can choose from a wide variety of boats. There are several types of small and large boats. But in Kumarakom, there are far less number of boats and you don’t have much choices. Houseboat day trip Kumarakom is best for a calm and quite cruise. Kumarakom houseboat half day cruise gives you the views that given in the pictures. Kumarakom to Alleppey houseboat day cruise is passing through Vembanad lake and its a long distance to reach. Kumarakom has limited number of boats and the houseboat charges in Kumarakom are pretty much fixed. There is not much room for negotiation. If you are anxious on relaxing in a calm and quite place, I would recommend Kumarakom for houseboat cruises. Kumarakom day boating are available with less rate. Kumarakom one day package is available with night stay including food. But it costs little high. Kumarakom backwaters day tour will starts at 11, their is private and shared boat for day cruise. We went during the peak of monsoon in Kerala and expecting some rain. The mother nature didn’t disappoint us. It started raining heavily by the time they started serving lunch. Our boat driver told us that it is safe to cruise during the rains but heavy wind could cause problems. To be on the safe side, our driver pulled the boat to a canal were we won’t feel much of the wind. Houseboat cruise during heavy rains in the monsoon was a great unforgettable experience. Alleppey to Kumarakom houseboat day cruise is starting from Pallathuruthy or Finishing point. If you are looking for a day trip houseboat Kumarakom then you can give us an enquiry. 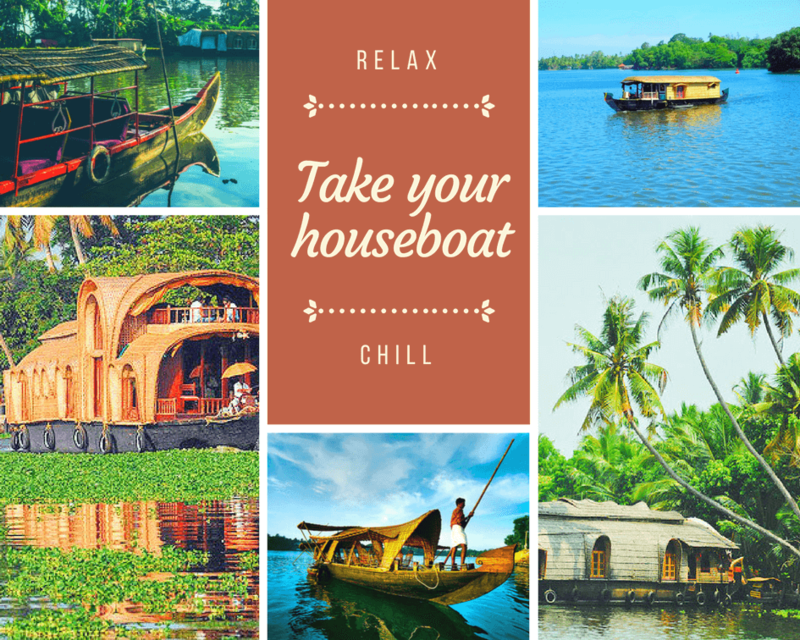 For more details about the Kumarakom houseboat rates for one day check the link.